Freed's, Bloch's, Sansha's, Capezio's, Gaynor Minden's, Grishko's, and Russian Pointes. Each page has a scene from a favorite classical ballet, including full lengths like Sleeping Beauty to many of the shorter Bournonville dances. 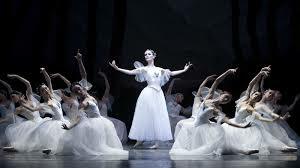 Professional Classical Ballet performance and rehearsal tutus are also available, all thru the links on the right. Our sister site to ballerina pointes is tutu-ballerina, where a large collection of Tutu's are available for recitals to Classical Ballet performances. There is also a selection of Long formal gowns for weddings or other special occasions included. We offer pointe shoes that are readily available to be ordered on Amazon and the pointe shoe companies shown are from the very best collection in the world. The models are up to date as possible, however the sizes are random. Only at amazon will the size selector give out many more choices. So, if a size "8w" example is shown, yet its your favorite shoe, click thru because, chances are the sellers offer many more sizes. If a listing is not available, Ballerina Pointes is still very useful as a similarity search. Similarity search listings, are normally listed below the out of stock shoes, brings up other shoes, that are either exact to the particular model, or near to it. So, you can save time by deciding upon which pointe shoes you're going to purchase, from our little ballerina site, Then move on to buy them at amazon. If you need ribbons or other items also, click on your back key, normally on the upper left hand side of most browsers. which is often more desirable for the stage. They have even created demi-pointe satins also. Which are very good for learning releves while facing the barre. Amazingly, we can even buy new pointe shoes online. Remember to use the sizing charts, however if you are still unsure of the exact size and fit, yet have to buy without a shoe fitting...most dance-wear shops accept *new trade-ins, especially if you buy something else, over $20.00, like a new leotard. As a token gesture for any size exchanges, make sure to sign-up on their customer mailing list and revisit them occasionally. If the shoe softens too easily, foot damage can occur. One reason being the foot bones of young dancers may still be growing. Secondly, the foot muscles may not yet be capable of deterring injuries. Because of this, always replace older shoes on time, rather than be tempted to wear them. A good idea with any pointe shoe brand is to let them rest after usage and change pairs. When the shoes get to rest for approximately 72 hours on their own, they tend to harden up and reform. If there is any break-in difficulty, it is often with the box and not the tough shanks. Some boxes can be a little more square shaped. One way to soften the starchy glue is with a bit of water before class, just on the sides. helpers to avoid blisters or other foot maladies.